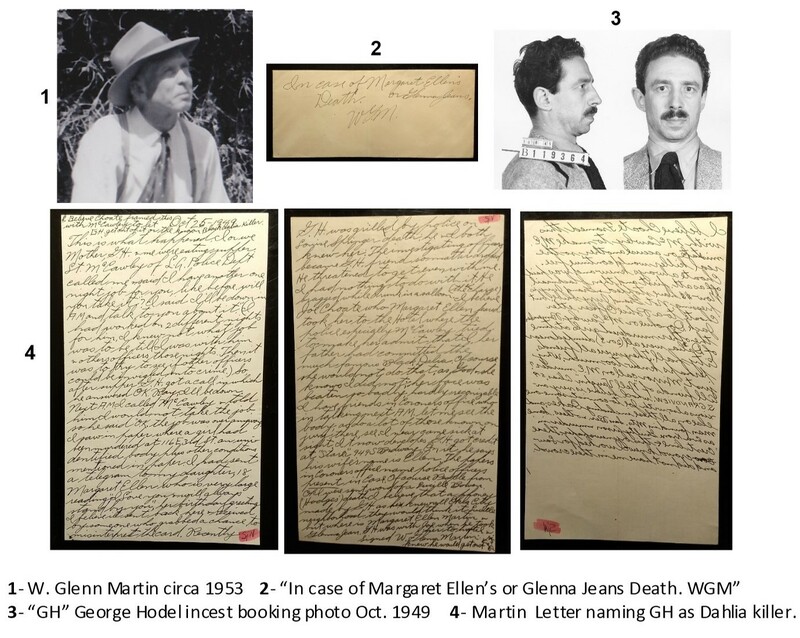 Here is my original Press Release (October 29, 2018) describing the discovery of LAPD police informant W. Glenn Martin’s handwritten “Death Declaration” naming George Hodel as the killer of Elizabeth “Black Dahlia” Short (1947) and further identifying him as the killer of L.A. Lone Woman Murder victim Louise Springer in 1949. Martin in this letter informs us that he was personally acquainted with George Hodel and that he and Hodel were both personally acquainted with the victim Louise Springer and that George Hodel in the summer of 1949 was taken in by LAPD detectives “and grilled about the Springer murder, but released due to his friendship with corrupt detectives.” * This original Glenn Martin Letter which remained hidden for seventy-years is the most important document linking Dr. George Hodel to the two 1940s murders and second in importance only to the secret LA DA Hodel/Black Dahlia Files and recorded transcripts secreted in the DA vault for over fifty-three-years as revealed in BDA in 2003. 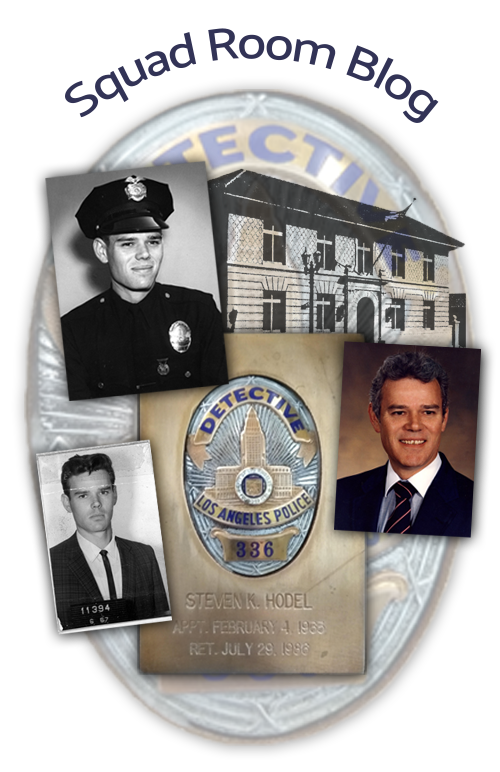 *SKH Note- George Hodel’s “grilling” by LAPD detectives as revealed by his acquaintance, Glenn Martin, is the third known murder interrogation as a suspect by LAPD. Officers first suspected and “grilled” him in the suspected overdose of his personal secretary/lover in 1945. 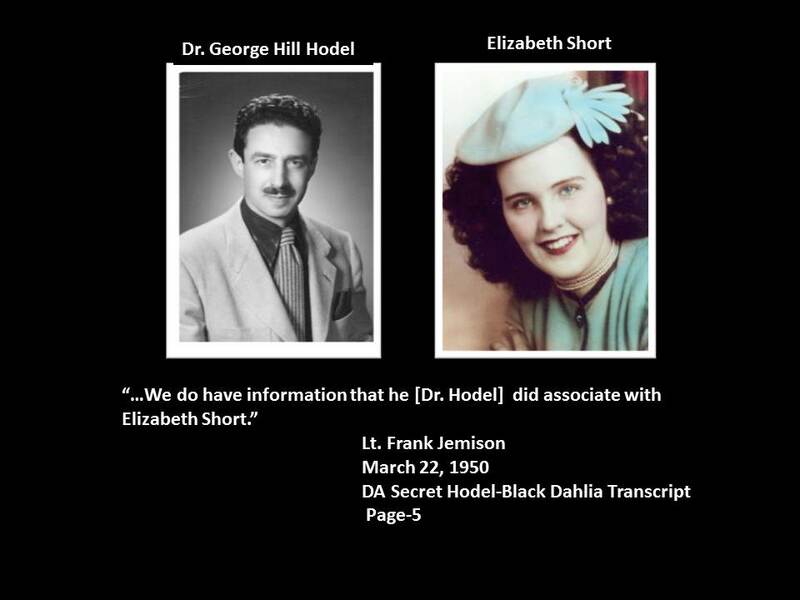 The second was as a suspect in the Elizabeth Short “Black Dahlia Murder” where he was “grilled” by LAPD and DA detectives at the Hall of Justice in 1950. Now, Martin informs us that he was taken in in the summer/fall of 1949 and “grilled” as a suspect in the Springer murder, but released by corrupt and “friendly” detectives. Full details as described in the Martin three-page letter are presented in full to the Who, What, Where and Why in the AFTERWORD chapter of the recently published Black Dahlia Avenger III (Rare Bird Books 2018). 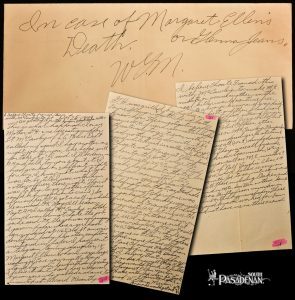 Is W. Glen Martin’s relationship to GHH covered in depth in your new book? Can you give me a few more details about their relationship to each other. What gave him knowledge of the murders. Every time I come back to your site, I am more and more amazed. The staggering amount of evidence supporting your conclusions is like parked a 400,000 tons supertanker on the lawn of a house, yet there are still modern police officers who claim you have some sort of personal agenda. What is being ignored by modern law enforcement is that none of this is “just” your own personal opinion. Very clearly the original police investigators assigned to the case were completely convinced that GHH was at least one of the perpetrators. Even if their opinions and evidence was squelched and covered up, the people who wanted it covered up must be long dead and gone by now. How can it possibly matter if the truth comes out now, 70 years later? What can possibly be gained by maintaining or ignoring a cover up from 70 years ago when all of the people involved are dead? How can a modern investigator so strongly deny the conclusions in the face of a mountain of evidence, and what do they stand to gain by closing their minds? Does the historical “image” of a Department or some “legendary” official matter so much 70 years later that it is somehow worth turning blind eyes and deaf ears to the truth and rejecting obvious conclusions? You lived this as an investigator. How does officially denying the truth benefit anyone 70 years after the fact? Setting aside the fact that I seriously doubt any active LAPD Major Crimes or Cold Case Detective has actually read my books front to back and most if not all remain unaware of any of the “new evidence”, still there exists another factor, which goes along with the “ego/territoriality, nobody’s going to solve my case” attitude. The “problem” is Departmental and inherent in all large organizations and not just restricted to the LAPD. Let’s call it the Queen Bee vs. Worker Bee effect. The Queen Bee knows nothing about solving homicides and relies on the hard work and expertise of her worker bee specialists. Likewise, the worker bee Unit Supervisor knows nothing about the individual unsolved homicide and relies on his or her subordinate worker bees for advice on any specific case. Consequently, for the past fifteen years, LAPD has taken no action. I have read every book I can find on the BD. Everyone has a different theory as to who killed ES and why. Most theories consist entirely or conjecture or speculation some bordering the absurd. One writer claims that another doctor who had a brain tumor killed ES because he himself had lost a child and ES was claiming to have lost one herself….PURE CONJECTURE AND SPECULATION . Steve’s investigation also has some circumstantial evidence but the sheer preponderance of evidence although some circumstantial makes a very convincing argument which I cannot say for most of the other theorists. Good work Steve, I know its been a long road for you and I celebrate you. Tim B: Thanks for the kind words. Much appreciated. Happy New Year to you and yours. Sir I have come to this late but have eagerly read one of your books so far with others in the reading cue. I agree with much of what has been said. The evidence is compelling and I think you do take an objective approach that is undeniable. I was wondering what your thoughts were as to where the actual torture/murder took place?. The association between de Sade’s caste and the courtyard of the Franklin house gave me a shiver.